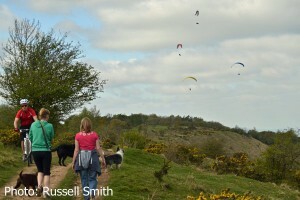 Welcome to the website of the Friends of Leckhampton Hill & Charlton Kings Common, known as ‘FOLK’. The Hill and Common are on the edge of the Cotswold escarpment and located on the outskirts and to the South of Cheltenham in Gloucestershire. FOLK has nearly 300 members (as at February 2019), including a number of regular volunteers who work alongside Cheltenham Borough Council (CBC), the site’s owner, to manage and promote the use of the Hill and Common. We have a strong influence on the management, use and future of the site. We encourage the use of the Hill and Common by walkers, runners, dog walkers, mountain bikers, horse riders, nature lovers, history lovers, geologists, etc. It’s even used by hang-gliders when the conditions are right. There are lots of things to do, see and find. For example, did you know that there is an Iron Age Hillfort and that quite a few wild orchids grow here? If you see something interesting on the Hill or Common, why not tell us about it (and send a photo if you can). We’ll then post it on our What’s New page. We hold regular work parties on the Hill and Common, e.g. to control the spread of scrub and to open up and encourage grassland. 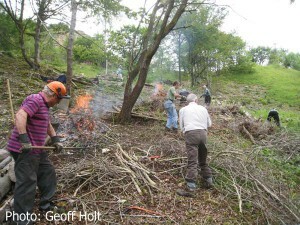 New volunteers are always welcomed so why not come and join us in our ‘green gym’. There are lots of ways you can support FOLK – you don’t have to join the work parties – so why not become a FOLK member. 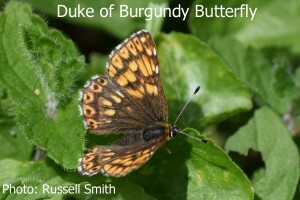 We carry out regular surveys of the wildlife on the Hill and Common, e.g. of butterflies. This is done by volunteers as well. Do you take photos on the Hill and Common? If so, why not sent them to us. They will increase our knowledge of what can be found, or done, on the Hill and Common. If you would like to know more about FOLK, become a member or contact us, go to our About Us, Join Us or Contact Us pages. If you would like to learn more about the Hill and Common – such as its history, wildlife, access, geology, etc. – go to our Site Description page. If you are interested in what we do on our work parties or surveys then go to our Work Parties and Surveys pages. We also produce regular newsletters, primarily for FOLK members, but past issues can be found on our Newsletters page. A range of photos, all taken on the Hill or Common, can be found on the Gallery page. There are also a few other pages not mentioned above that you might like to look at.